Contact Dee Spinks at Animal Rescue Coffs Harbour to express your interest. Another successful adoption - amazing work Animal Rescue Coffs Harbour! More successful adoptions - amazing work Animal Rescue Coffs Harbour! Bubba is approx 3 y/o wolfhound x (maybe bull terrier?) 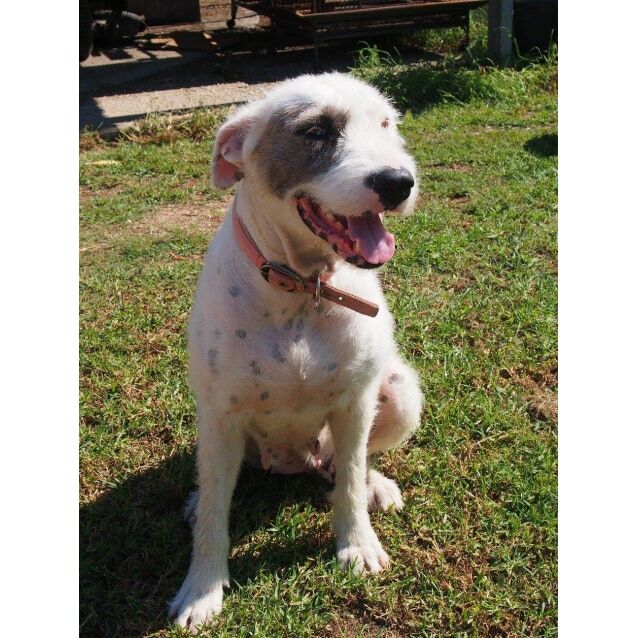 - approx 40kg - very friendly, loving girl. Bubba gets on with most dogs. She is a little protective of her home space, particularly with other dominant female dogs. But at the beach she loves to run with all the other dogs in the neighbourhood. She has lovely manners and a very sweet temperament. Bubba is used to sleeping inside with her foster family. Contact ARCH for an application form. A yard check will be required. A meet and greet is advisable if you have other animals. We offer a two week trial period to ensure the dog is the perfect fit for your family before adoption is finalised. The adoption fee is payable at commencement of trial period but can be refunded if it doesn't work out.